The calendars are managed my means of usual calendar programs like Outlook, Thunderbird Lightning and similar, or by means of a web-interface of a WebSpace-provider. 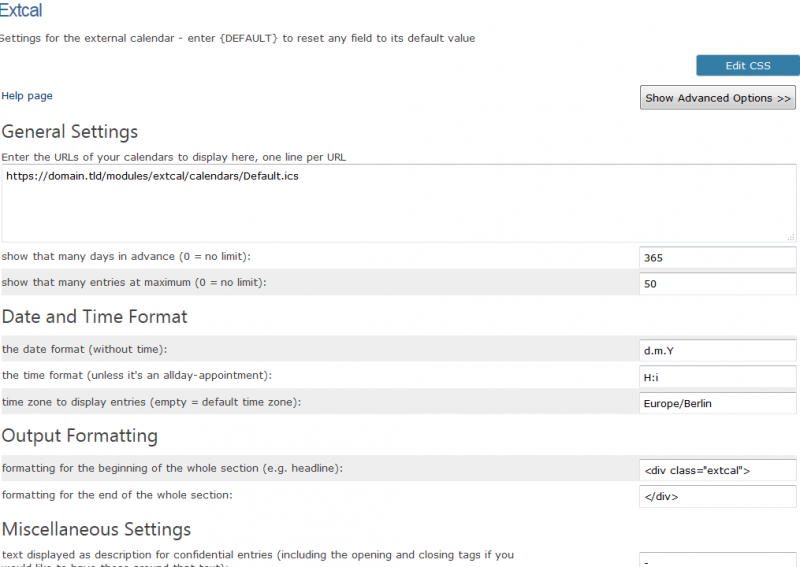 The calendar is included with this module into the web page. The focus is not on displaying an online-calendar, but explicitly on displaying the appointments the most homogeneously as possible inside the web page. For configuring the module, simply enter the URL of the ical files or the WebDAV-calendar and the appointments of the calendar appear as list in the frontend.